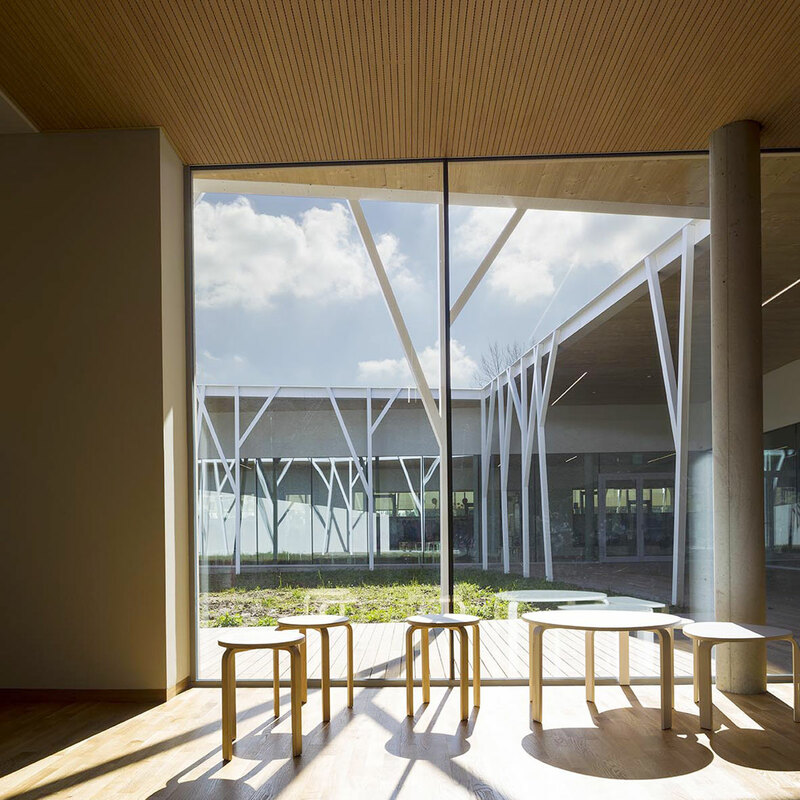 Danieli & C. Officine Meccaniche is an Italian multinational that is a world leader in the production of equipment and physical plants for the metal industry. 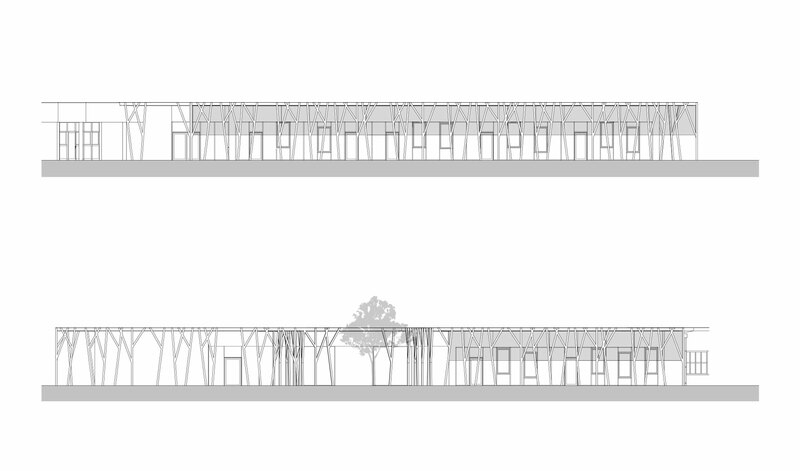 The owners’ idea is to create a campus for the children of the company’s employees in a large park just a short distance from their workplace. 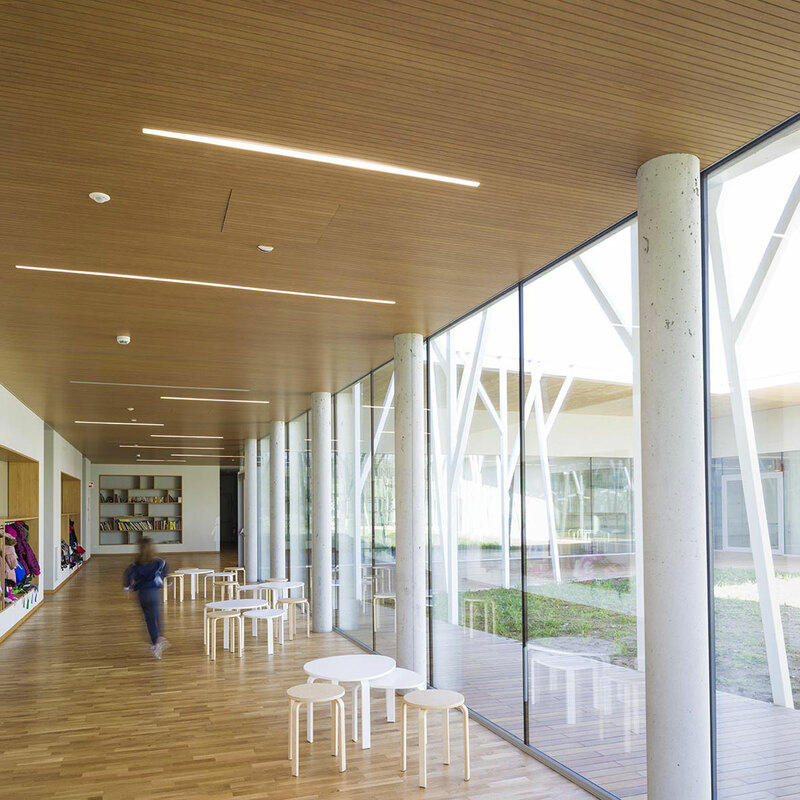 The crèche and nursery school already exist and a primary school has just been completed to a design by Marco Zito + Made Associati (Michela De Poli and Adriano Marangon), while this initiative is part of a broader vision of growth for the campus. 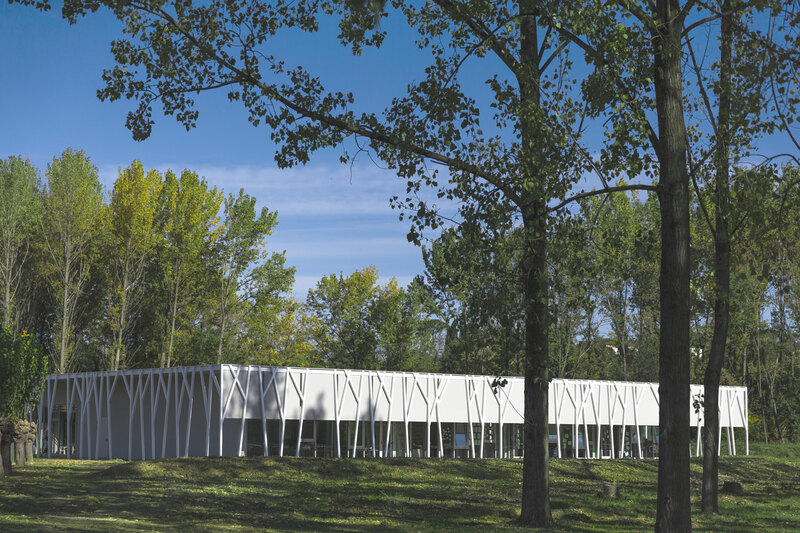 This project has been developed through a close connection with the surrounding context: a park with poplar trees. 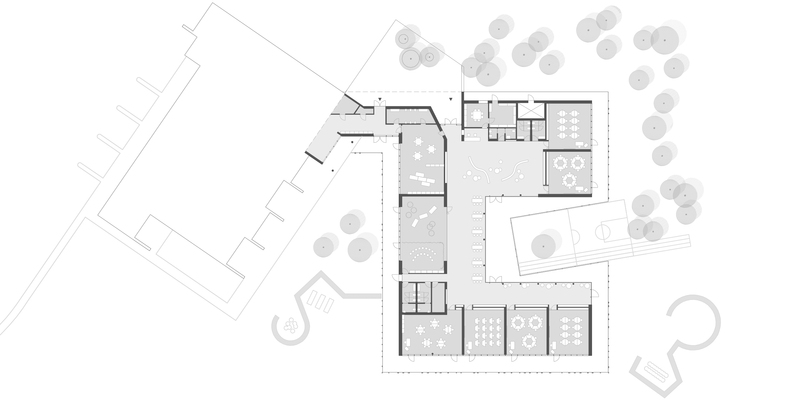 The relationship with this natural space moulds every aspect of the intervention, from its articulation to the arrangement of the spaces and their visual permeability. 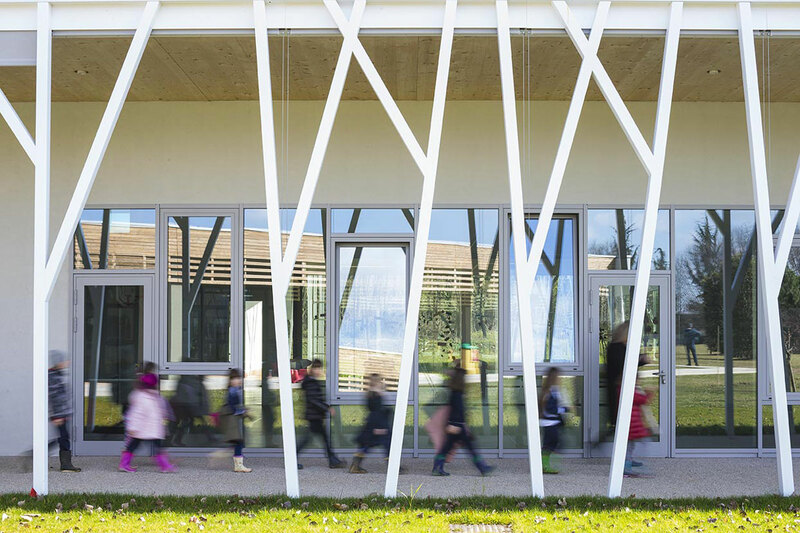 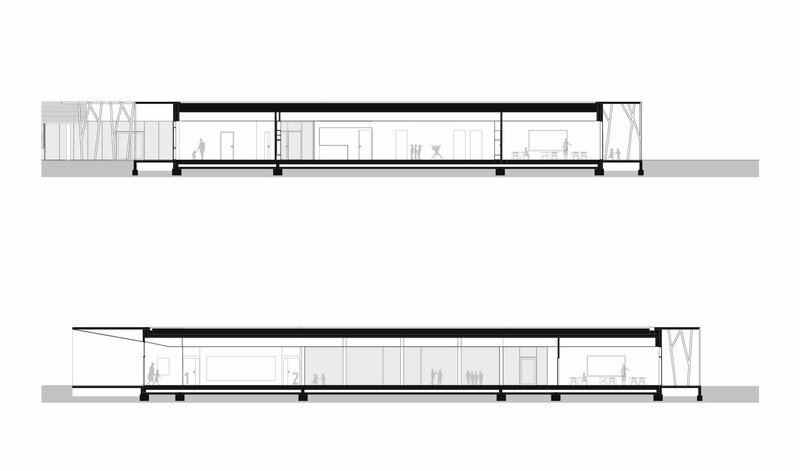 Connected to the existing crèche, the primary school, with a C-shaped plan that embraces the landscape, is ringed by a three-metre-deep external portico and defined by a continuous “strip” that reproduces the silhouettes of the trees. 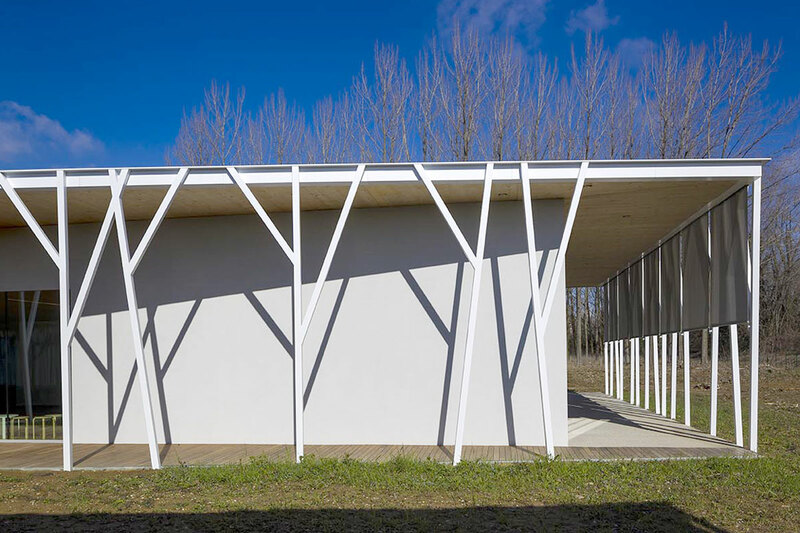 As Michela De Poli explains: “The philosophy of our work resides in the search for a balance between nature and artifice.